Many situations occur where you are unable to take your pets with you but still need to leave for one reason or another. Whether you are on vacation, spending long hours at work or away for an unexpected trip, you can be assured that your pet is being well cared for by Keep’em Kozy Petsitting. Our service allows for your animals to be able to stay in their own home where they are comfortable and secure. There is no need to inconvenience family and friends by asking them to look after your pets while you are away. Visits can be arranged for one, two or threes times per day. While pet sitting we will pick up your mail, newspapers and rotate your lights. Your home is made more secure with these crime deterrent measures. Visits are normally 10-30 minutes for dogs and 10-20 minutes for cats. Longer visits can be arranged if you have pets with special needs or those that require extra potty time. 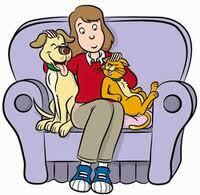 During the visit your pets are fed, given fresh water, played with, snuggled and loved. Litter boxes and any “accidents” are cleaned per the owners’ instructions. For dogs there is the option of walking them during the visit as well as brushing (for dogs or cats). If you have specific questions regarding services or special requests please use the Contact Us form for additional information.